It’s now called Shi Lang Liaoning. The soon-to-be-launched maiden carrier of the PLAN serves as a successful template for locally produced flattops in the near future. The backstory explaining how it ended up in Dalian is well-known, so this post simply rehashes the facts and establishes a few other points that might have been missed. Originally bought from Ukraine in 1998 for $20 million, the much publicized intention of the mysterious Chong Lot Travel Agency (a front for another dubious Hong Kong firm) was to make it an attraction in Macao—an alleged floating casino. 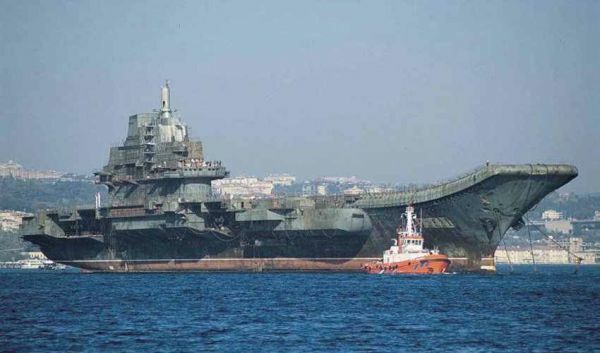 While under construction, the Varyag was supposed to be the second Soviet aircraft carrier after the Kuznetsov. Long story short, thanks to dire economic straits it rusted away until its purchase. The Varyag’s design is supposed to convey its distinct role. Soviet naval doctrine designates it not as a carrier in the Western sense but a missile cruiser with an aircraft arm meant for defending battle groups. To fulfill this role it’s much smaller than its American counterparts and only supported VTOL aircraft and helicopters. The PLAN, on the other hand, have more ambitious plans (no pun intended) for the Soviet-era hulk. Shi Lang infographic with tags/captions in Mandarin. Via Deepskyer/Flickr. It took a large tugboat and a multinational crew almost two years before the former Shi Lang reached Macao (it skipped the Suez Canal due to restrictions). Along the way it caused a diplomatic row with Turkey, nearly went adrift in the Aegean Sea, and spent a ridiculous amount of time traversing the Indian Ocean. Upon finally reaching Dalian in 2003 the Shi Lang underwent a slow refurbishing. In its current state, the Shi Lang is being scrutinized at a level akin to paparazzi fawning over a starlet. Entire blog posts and webpages are dedicated to capturing the Shi Lang spewing smoke from its chimney, testing its lights, and other routine non-exciting tasks. Beyond obvious bragging rights, the Shi Lang is a serious force projection tool and its onboard arsenal is proof of this. Recent photographs of its CIWS system and other armaments are already available. As of this writing, the Shi Lang carries four batteries of the FL-3000N missiles and two 30mm CIWS cannon. As for aircraft, the Shi Lang operates J-15’s and several ASW helicopters. The ignored development riding on the Shi Lang‘s coattails are two new carriers, this time 100% indigenous, being built in Shanghai. Unfortunately, no pictures of them are available. 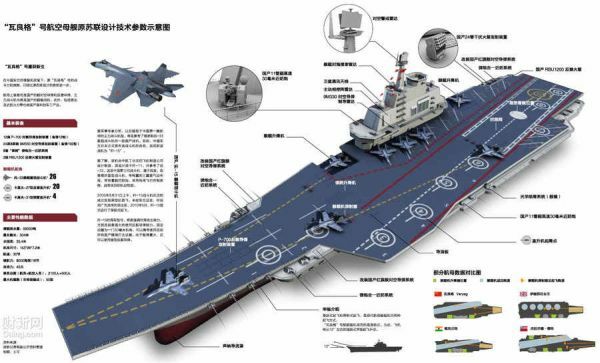 The hottest new development regarding Shi Lang was the selection of its captain; according to the South China Morning Post Major General Li Xiaoyan is commanding the ship. The same news story adds that his qualifications include extensive experience in the South China Sea, a tidbit that could hint at Shi Lang’s possible future mission. The historic significance of the name Shi Lang, however, implies a Taiwan-centric objective.